My own weekend was rather devoid of birds; I couldn’t even take pleasure in the asymmetrical clash between the Eagles and Falcons. Charlie didn’t see much worth mentioning either. 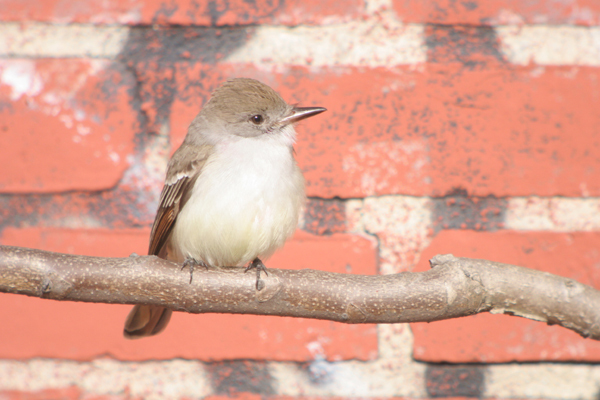 Fortunately, Corey redeemed us and himself by finally finding that Queens Ash-throated Flycatcher he’s been chasing. Eared Grebe was my best bird. Not a stop press rarity by any means, but pretty good for my area. The Anna’s Hummingbird who was on my feeder before it was lightout yesterday morning was my best bird of the weekend. Andy and myself went camping/birding in Brevard County, FL for my birthday weekend (actually a Monday and Tuesday but my two days off work for the week). We re-located the Neotropic Cormorant at Viera Wetlands. A great state bird. Well, I had a Tufted Duck in Rhode Island. Nice and easy to find, though it was interested in sleeping so it did not afford the best looks at the smallish tuft.